REACTIVATE YOUR ACCOUNT and you could earn a bonus and be in the Prize Draw to WIN $250 (special T&Cs apply – ask us for more information). 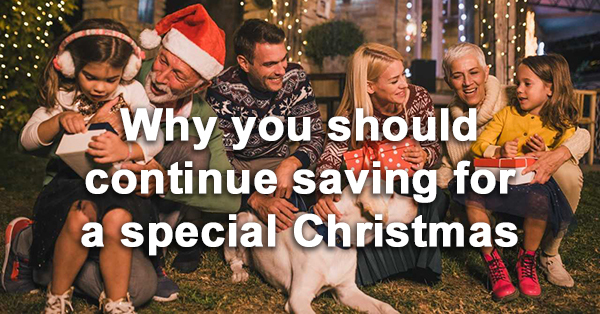 We already know that Christmas can be an expensive time of year, but we also know that in the New Year, Back to School is another challenge with uniforms and equipment especially with ‘bring your own device’, so why not save a bit extra for this event as well. 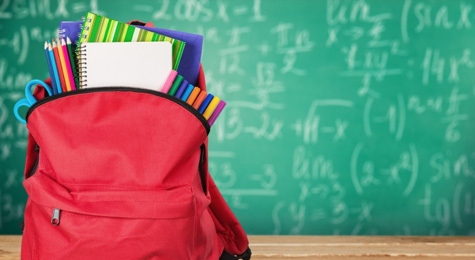 Instead of spending all your hampsta savings at Christmas, keep a bit to one side to help with Back to School. We will do our best to find some deals for you at that time! Save a bit each week, and take out the stress. 1. You can refer as many friends as you wish and you will receive $50 for each new qualifying Member. 2. This promotion is strictly limited to the first 100 new Members introduced, or until Friday 15 March 2019. 3. Any person referred by you must save a minimum of $20 per week for 12 consecutive weeks from the 1st payment received in order to qualify for the $50 bonus and to go into the draw to WIN 1 prize draw of $250. 4. You must maintain a minimum saving of $20 a week and not dishonor or miss any payments or risk disqualification. 5. All bonuses earned or awarded will be topped up to your hampsta account on Wednesday 30 October 2019. 6. $250 Draw will be drawn Monday 28 October 2019 and cash prize will be topped up Wednesday 30 October 2019. 7. There will only be one cash prize of $250. Prize can not be exchanged for cash. 8. To qualify for the bonuses and prize draw you must be a current and active hampsta Member at the time of the draw. 9. Hampsta reserves the right to cancel this promotion at any time by notice on the hampsta website. 10. Hampsta’s decision is final and no correspondence will be entered into. 1. All orders over $200 will go into the draw. 2. All orders placed from 01 Nov 2018 to 9 November 2018 will be eligible for draw. 3. Winners will be Drawn on 5 December 2018 and announced by our facebook page. 4. 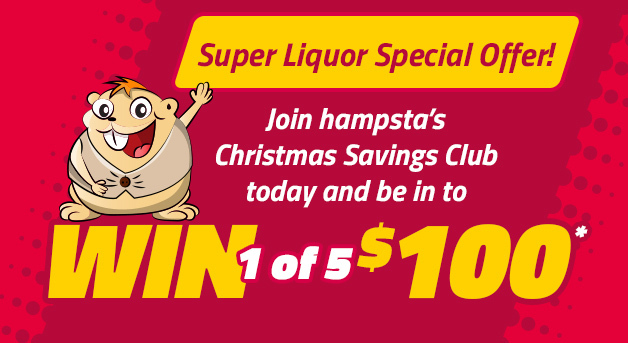 Prizes will be paid to the members hampsta account on 7th December 2018 . 5. ALL GIFT CARD ORDERS ARE SENT OUT 5 DEC 2018 BY SIGNED COURIER DELIVERY. 1. To qualify – all you have to do is make at least one deposit into your hampsta account during this August 2018. 2. Winner will be announced 28/08/2018 via the hampsta facebook page at 3pm. 3. One entry per dad. 4. The $100 will be applied to the nominated Dad hampsta account on Friday 30th November 2018. 5. The $100 account top up will only be given to the Dad figure and not the referrer. 6. Lone star voucher will be sent to winner/s Friday 31 August 2018. 7. Prize is not transferable to cash. 8. Dad can be any authority figure. Here’s what you need to do to WIN. Send us a photo of Dad along with a memory of one of dad’s shopping purchases during Christmas; this can either be a disaster purchase or a triumphant purchase as we are looking for the great tale about your dad. Can send to us via post, email or simply post straight to our facebook page. 1. To qualify – all you have to do is make at least one deposit into your hampsta account during this July 2018. 2. Promotion drawn 1 August 2018 at 3pm NZST and winner is notified by telephone. 3. 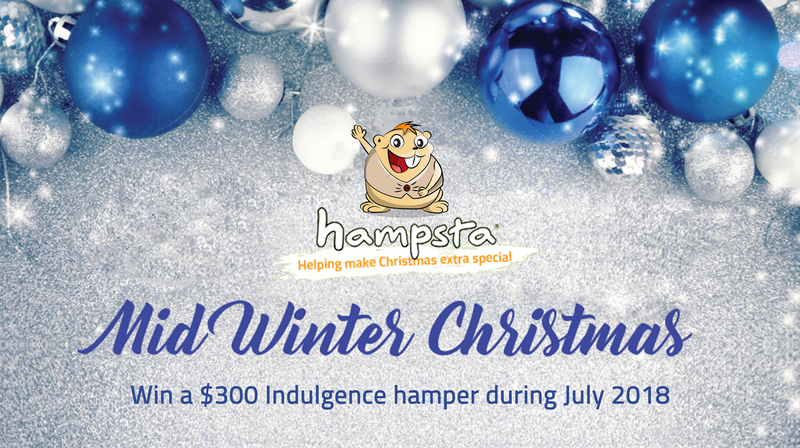 Hamper sent to winner 3 – 5 days after winner has confirmed account details. 4. Hamper is not transferable for cash. 1. Promotion is open to existing paying members only. 2. Promotion starts Tuesday 1 May 2018, 10am NZST. 3. Entries must be emailed to helpdesk@hampsta.co.nz no later than Friday 11 May 2018, 10:30am NZST. 4. ‘A word’ will be posted daily at 10am to hampsta Facebook page. 5. Winners will be announced Monday 14 May 2018 at 10am NZST and will be posted to Facebook. 6. Prizes for this promotion are a mystery of cash. 7. PCash prizes won will be applied to each member/s nominated hampsta account on Friday 30th November 2018. 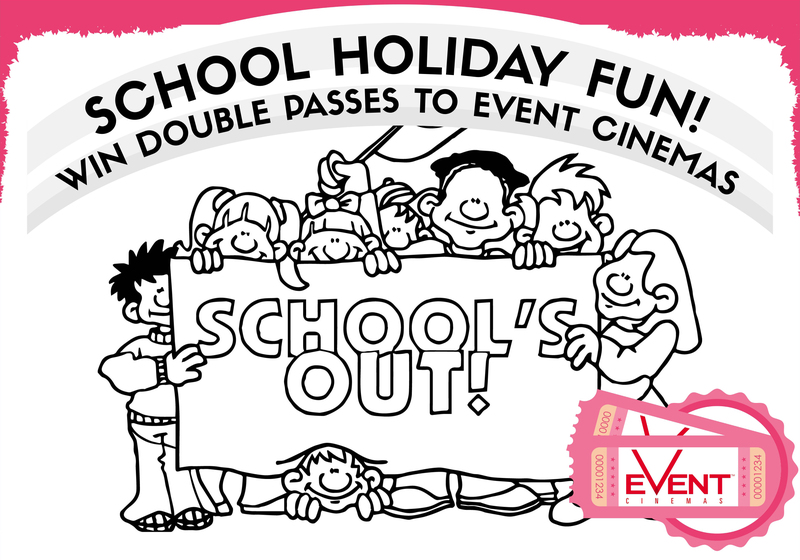 Whereas vouchers are sent to each winner at close of this promotion. 2. 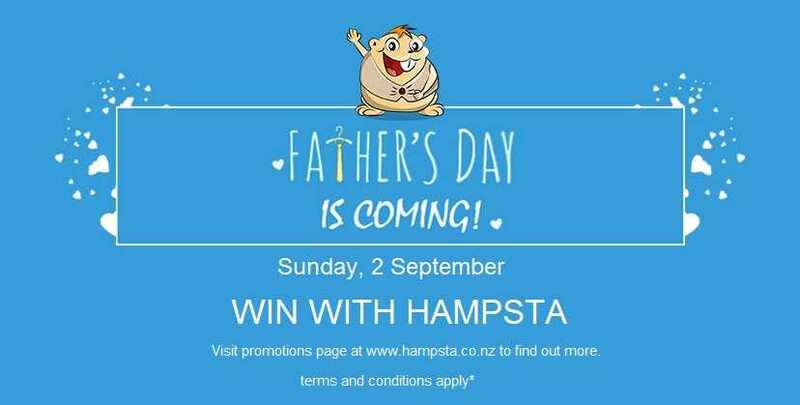 One name at random will be announced on the hampsta Facebook page daily at 10am NZST from 11/05/2018 – 21/05/2018. 3. The name selected will need to ring hampsta 0800 364 364 within 10 minutes of their name being announced in order to claim their prize. 4. 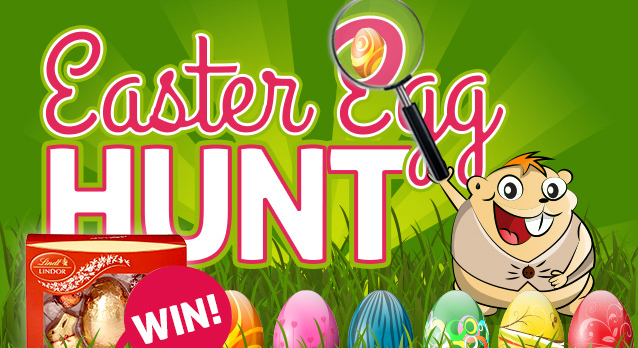 If unclaimed, the prize will be forfeited and will not be redrawn. 5. Between the dates of 11/05/2018 – 21/05/2018 on each Friday two names will be selected at random and posted on hampsta Facebook at 10am. No names will be drawn during the weekends during this promotion. 6. 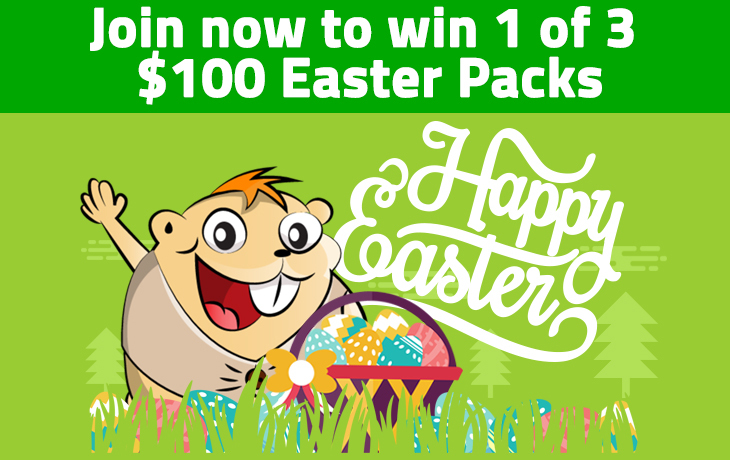 Prizes for this promotion are 10 x $100 hampsta card topups. 7. Prizes won will be applied to each member/s nominated hampsta account on Friday 30th November 2018. 2. One question at random will be announced on the hampsta Facebook page daily at 10am from 22/05/2018 – 31/05/2018. 3. 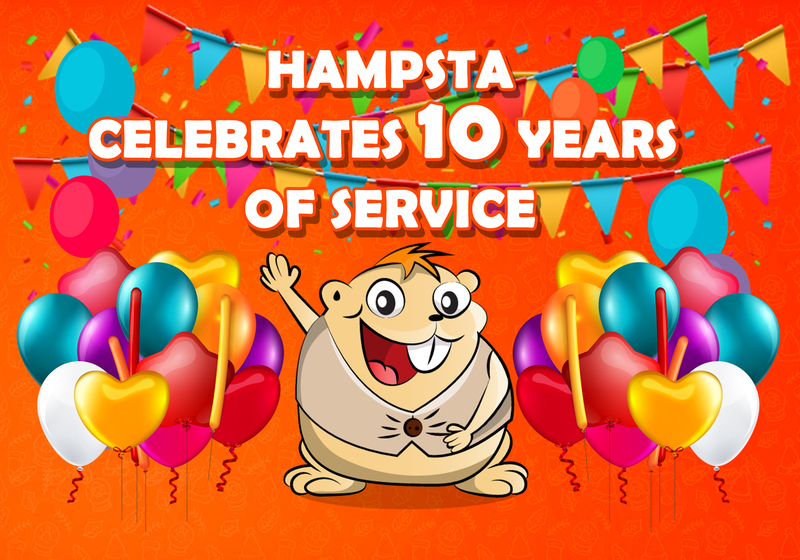 You need to submit your answer to hampsta Facebook page within 10 minutes of the announcement and a winner will be selected at random. 4. Between the dates of 22/05/2018 – 31/05/2018 on each Friday, two questions will be selected at random and posted to Facebook at 10am. No questions will be posted during the weekends of this running promotion. 5. 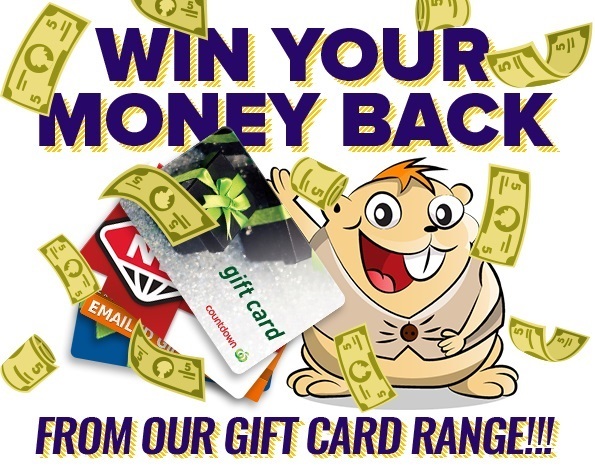 Prizes for this promotion are 10 x $50 hampsta card topups. 6. Prizes won will be applied to each member/s nominated hampsta account on Friday 30th November 2018. 1. Minimum amount of $10 increased amount to qualify. 2. One payment of the increased amount needs to be made before 4 May 2018. 3. You must at least make 4 consecutive payments of the increased amount to qualify. 4. Example. 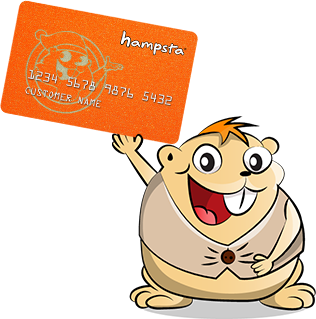 If you already pay $10 a week and increase your payment by another $10 then the amount applied from hampsta is $10 only, if you increase your payments by $100 the amount applied will be $100 only. 5. The maximum amount hampsta will pay is $250. 6. Increased payout will be paid to each hampsta members account 30 November 2018. 1. Winning pictures will be posted to FB. 2. Competitions closes 19 April 2018 3pm NZST. 3. Prize drawn 20 April 2018 3pm NZST. 4. Tickets will be couriered to winner/s. 1. Prize drawn 28 March 2018. 2. Winners will be notified by phone and posted to FB. 3. Minimum of $10 to qualify for promotion. 4. You need to make at least one payment before the 26 March 2018 to qualify. 5. Promotion open to all new joins and lapsed customers.